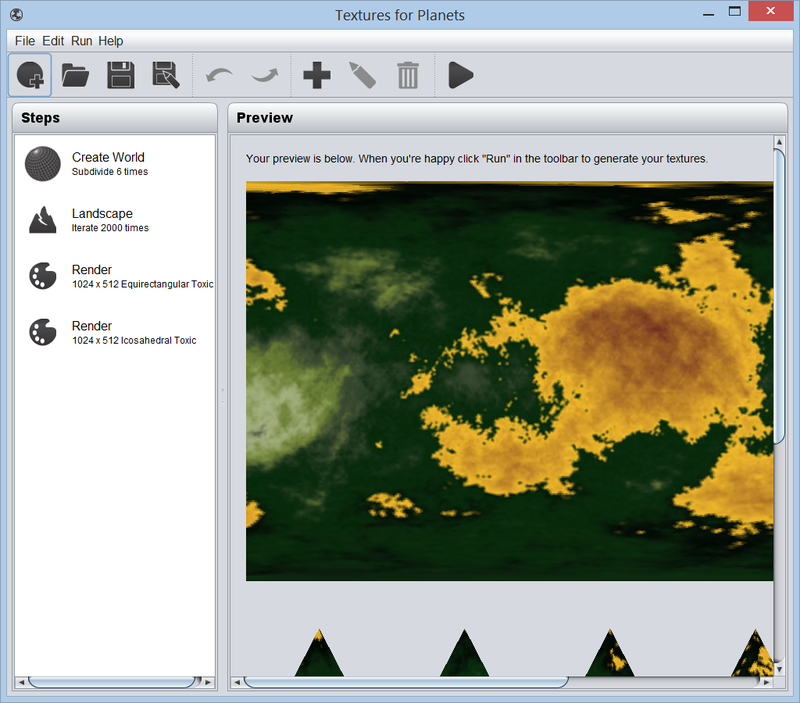 Textures for Planets comes with three tools out of the box: crater, canyon, and volcano, but you can build your own or customize existing ones. You may notice above that the default crater I created looks a bit too perfect. For my purposes, smaller planets on a large starmap I found it showed better, but if you want more realism and randomization you can customize the tool as shown below. The same steps can be taken to create a new tool. 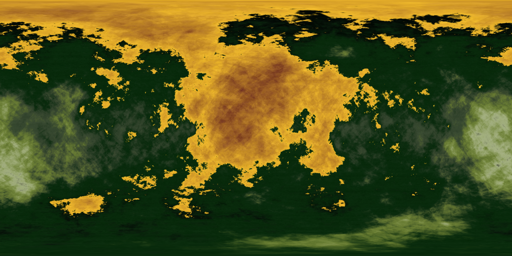 Each tool is based on a 100x100 pixels height map. This is a grayscale image that is applied over the terrain to raise or lower the land. 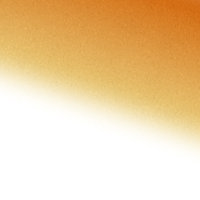 Pixels coloured over 130, 130, 130 (RGB scale) raise the terrain and those lower than 120, 120, 120 depress the terrain. The darker the colour, the lower the terrain. We're going to replace the default nicely round crater tool heightmap with the files below. A tool can have multiple heightmap images. 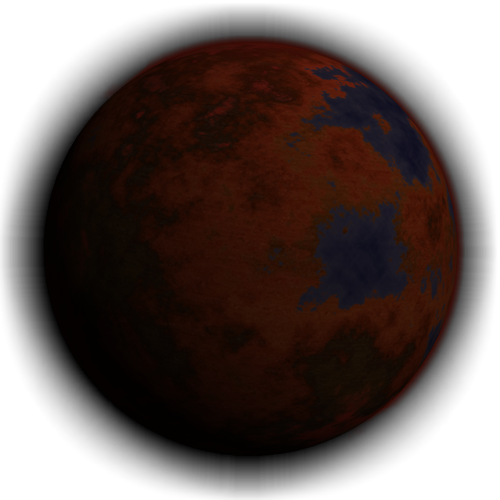 Each time the tool is applied to the terrain Textures for Planets will randomly select one of the images to use. The heightmap files must be named "heightmap#.png" all in lower cases where # is replaced by the image index 0, 1, 2, etc. In addition to your heightmaps you need a sample.png file and a tool.txt file. 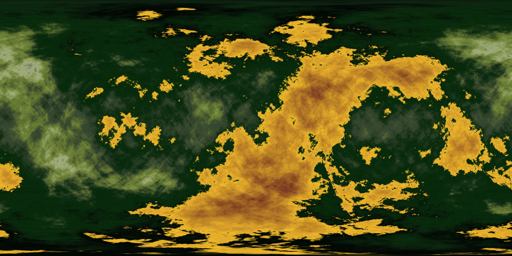 The default size represents the minimum and maximum degrees of latitude that the tool should span, and the default count is the minimum and maximum applications of the tool to a planet texture. These are used when a user creates a new tool step in their project. The default sample.png for crater is below but you can use any 200x200 png file you like. Zip up the heightmap, sample, and tool files into a single file called improvedcrater.zip and copy that into the Tools folder in your TexturesForPlanets home location. This is C:/Users/myname/TexturesForPlanets/Tools on my Windows 8 machine. Launch Textures for Planets and select the default Martian or Rocky templates. Double click on the Crater step and click to change the tool. You should now be able to select your Improved Crater and try it out. The completed zip can be downloaded here. If you create something that works out and you want to share, email it to me and I'll post it for others. The fungal planet type in Textures for Planets is based on two sources. First this NASA article "What Exoplanets Might Really Look Like" and of course Planet from Sid Meier's Alpha Centauri. Here's a sample output of a Fungal planet rendered at 400x400. You can download a full 2048x2048 here. Textures for Planets is a completely free tool for bulk rendering wrapping planet textures for your 4X or RTS space games, space scenes or art, or just for fun. In part 1 we looked at customizing a Textures for Planets world by installing our own colour palette into the too. In this section we will add toxic clouds to the mix. Many of the steps are the same. Zip the three files into toxicclouds.zip and copy them to your Textures for Planets colourizer folder. You can find the completed zip here if you like. 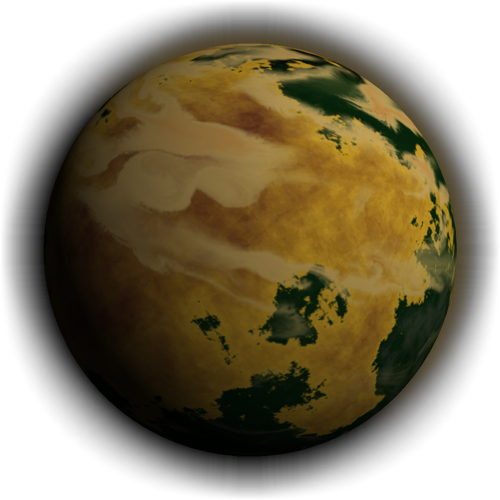 The changes tell Textures for Planets to use "Toxic Clouds" as the default cloud colour and to use the template "terrestrialclouds" instead of plain. When users select the Toxic option to start a new world, the cloud layer will be automatically copied from the default terrestrialclouds templates. Rezip the toxic colourizer files (colours.png, sample.png, and colourizer.txt) into "toxic.zip" and copy that to the colourizers folder. Replace the earlier versions. When you're happy with the output and colours selected you can update the sample images to 3D renderings to match the tool. Here are final toxic.zip and toxicclouds.zip that you can use. 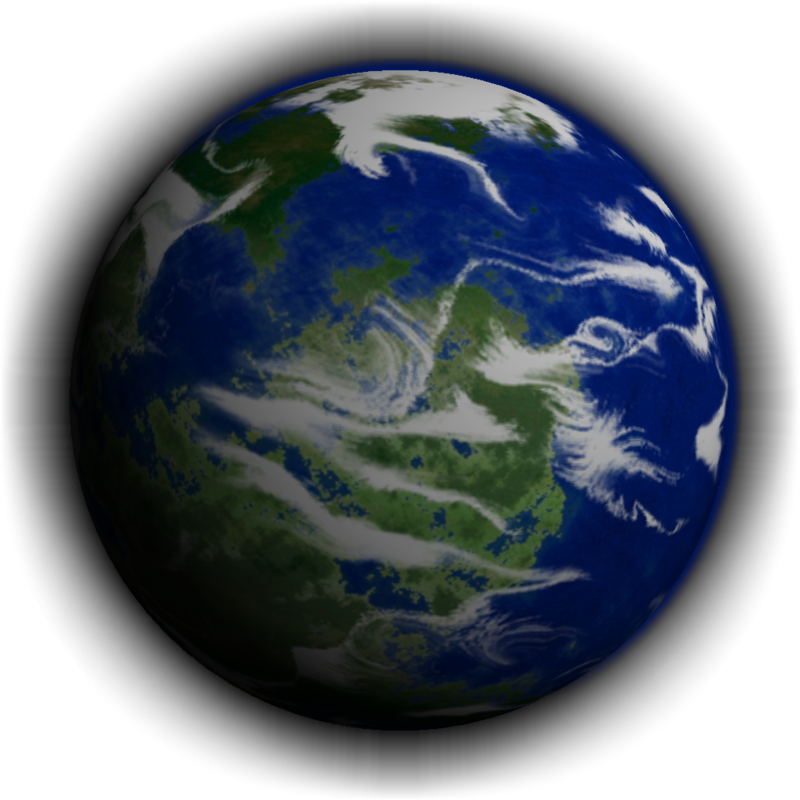 In this post we'll create a wrapping planet surface texture for a toxic planet using Textures for Planets, a free tool to generate planet textures. In part 2 we add the cloud layer. Textures for planets doesn't come with colours for toxic planets so we'll make our own. Using your favourite graphics editor (Gimp, Corel PhotoPaint, PhotoShop, etc.) create a 200 x 200 pixel image. 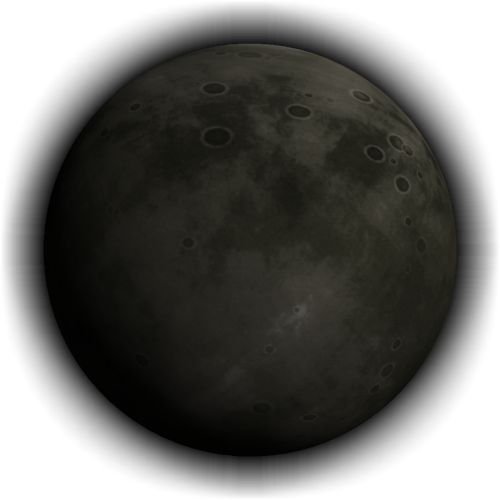 This image will provide a palette for Textures for Planets to colour your world. 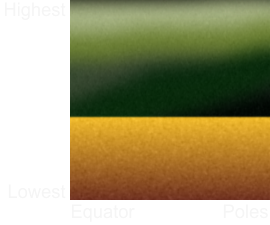 At the top of the image is the colouring for the highest altitudes, at the bottom of the image is the colouring for the lowest altitudes. To the right is the poles, and the left is the equator. You can get creative with your colours. In the above I've created toxic seas of yellowed water and green sludge above. 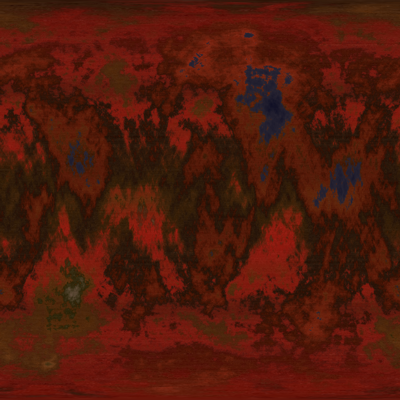 I've painted with broad strokes, blurred, then added noise. I used two layers to keep a clean shoreline. Export your image to a PNG file. Please note that the file names are case sensitive so use lower case letters. For now, use your 200x200 pixel PNG image for both colours.png and samples.png by saving it twice. These will be explained later but for now just enter or copy the above verbatim. Zip the three files into a file called "toxic.zip". 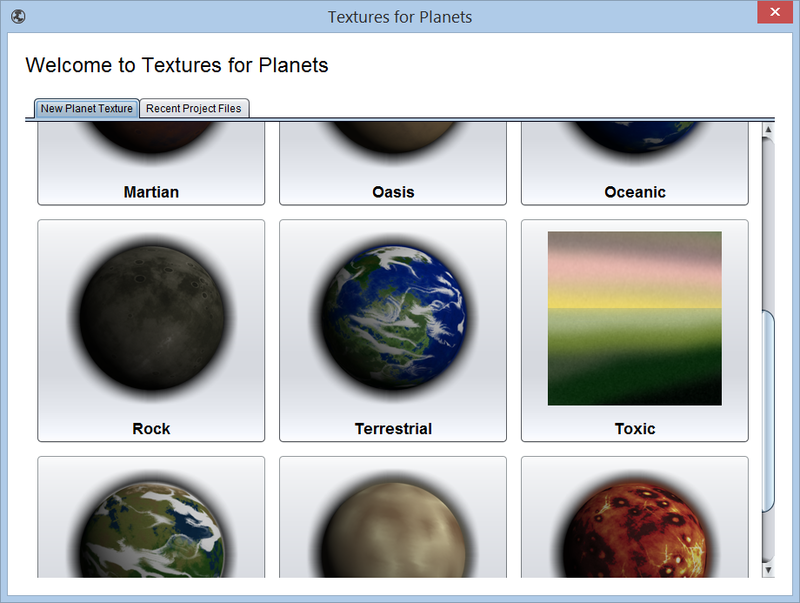 Copy the zip file into the "Colourizers" folder of your "Textures for Planets" home folder. The program asks you to select this when you first start it up. On Windows 8 it defaults to something like C:\Users\<your name>\TexturesForPlanets\Colourizers. Launch Textures for Planets and you should see the Toxic option in the start screen's gallery of worlds. If you don't see it, double check that you followed all the steps and that the colourizer.txt file is filled in correctly and that the filenames are all lower case. If you like, you can download the completed zip here. That's it. 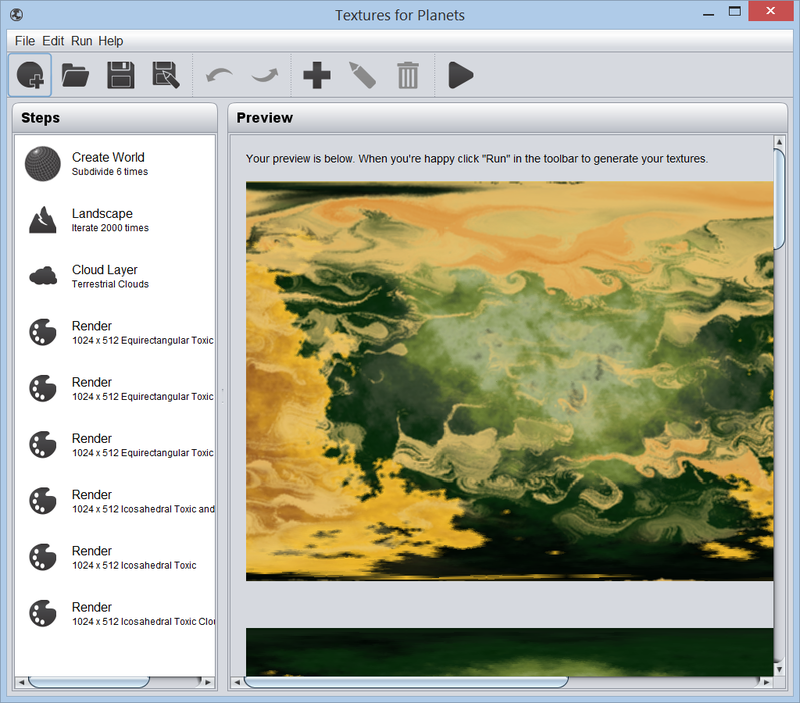 You're now free to add tools and other effects and customize the output for your toxic planets. When you're happy click the Run button in the toolbar to generate as many unique textures as you want. Continue to part 2 to add a cloud layer. Hello, world! The first blog post by http://www.texturesforplanets.com.